manroland Goss will work with GWS Printing Systems to install a semicommercial Uniset 75 at book printer Industria Grafica Cimagraf in Peru. 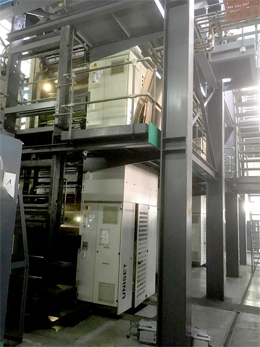 The single-width heatset press has four towers, a gas dryer and one folder, and will significantly increase capacity at Cimagraf's Lima, where another manroland Uniset is already in operation. Chief executive Fernandez Paitan says the investment is a direct result of a period of growth they are experiencing: "We are very happy to have found this press and are convinced it will help us to increase our steady, high quality production for the years to come." The press will arrive in Lima this month and be installed in a "very close" cooperation manroland-Goss specialists.